James G. Brown, F.S. 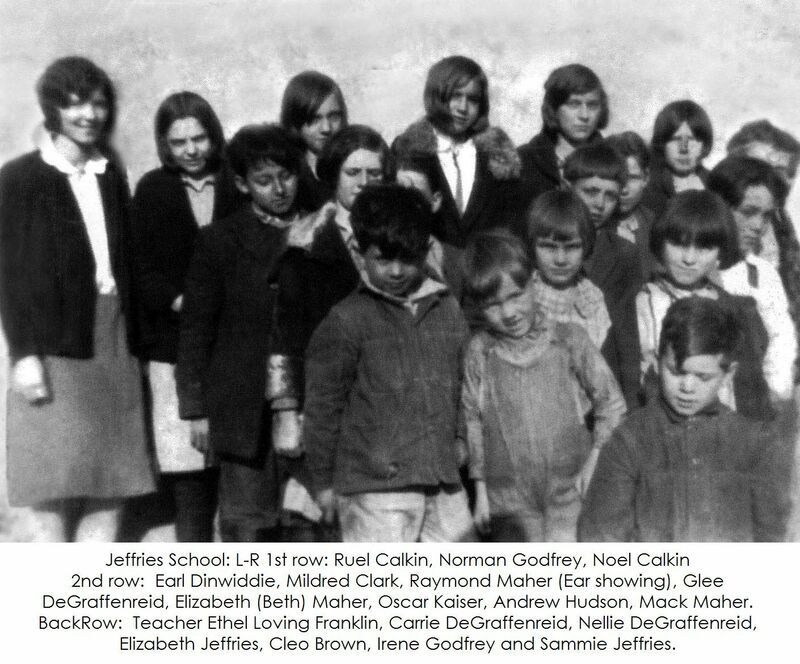 Carrolton, Nelson Caliman, Elisabeth Hoskins, William Gardner, J.D. Cochran, George W. Phillips, W.T. Jeffries, Derric Jeffries, Wm. R. Johnson, J.D. McCubbin, Mary McClain, William Maher, J.B. Salsman, Lazurus Phillips, William M. Pope, Robert H. Robinett, A.T. Robinett, Redman Snelling, Berryman Snelling, and Allen Ward. 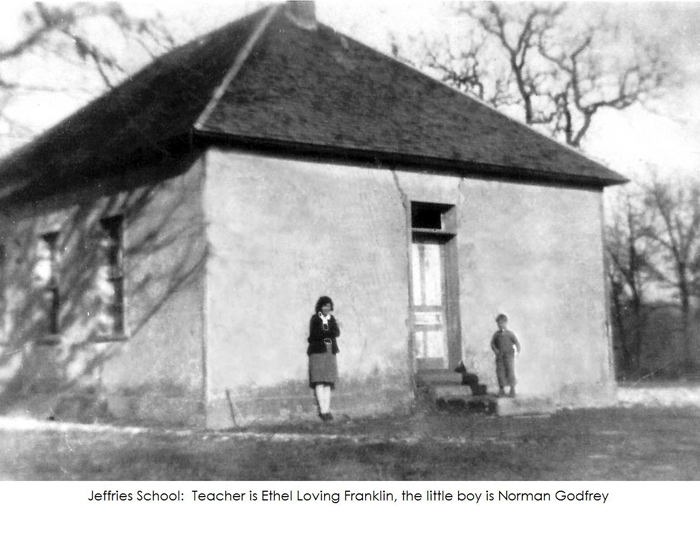 My mother, Nellie DeGraffenreid Jeffries attended the Jeffries School house which is now in the Lake of the Ozark State Park. 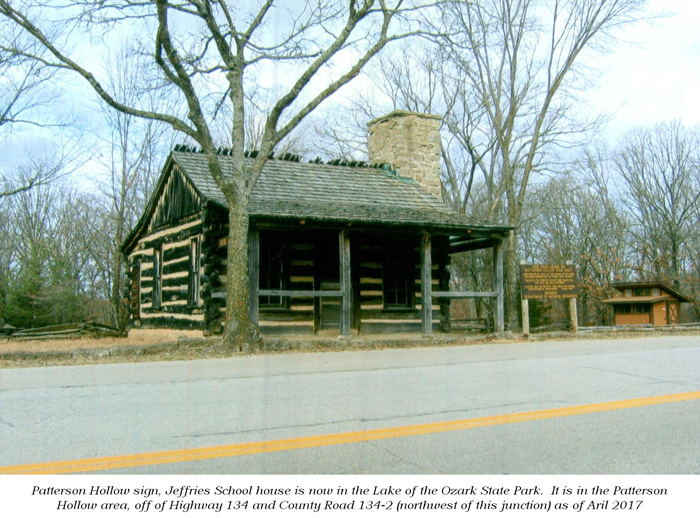 It is in the Patterson Hollow area, off of Highway 134 and County Road 134-2 (northwest of this junction). There was one teacher for all 8 grades and one of the teachers was Lucian Mace (Lee Mace father). The student’s parents made sure firewood was available for the cold months and the wood burning stove was in the center of the one room. The drinking water was carried from a nearby spring by one of the older students. Mom completed the 8th Grade which was a standard in those days. Some of the families that attended that school are the Alvin Snelling family, Clifford Jeffries family, John DinWiddie family, Otto McDowell family, John Maher family, Stout’s, and Grosvenor’s. These family names were given to me by my Uncle Lloyd DeGraffenreid who lives in Brumley and did attend the Jeffries School, there may be others that he can’t remember.